Development of the Airport ... and the Neighbors Be Damned!  The City of Hayward is radically altering the nature of its airport. No longer a rural airstrip serving the recreational "needs" of a small number of small-plane owners, the Hayward airport is surrounded by congested urban development, and is home to constant buzzing activity. The City's ambition to turn its airport into a thriving corporate center ignores the safety and quality of life of thousands of neighboring residents. Between 1998 and 2006 the number of business jets based at Hayward Airport increased from five to 32! Among the 8 airports in the nine-county Bay Area that support business-jet operations, Hayward Airport had about 6 percent of all business jets in 1998-1999, but by 2006 it had 24 percent! See articles about corporate jets and suburban airports. Noise Abatement  The Hayward Airport has a "fly friendly" program that encourages pilots to follow take-off patterns that reduce noise impacts on residential neighborhoods surrounding the airport. The program is voluntary, not mandatory, and FAA air traffic controllers are not involved). Several other measures could be implemented to reduce noise impacts. Safety  The majority of take-offs from the Hayward Airport are "touch and go" training flights, where the pilot (often a student) takes off, returns to the runway without stopping, and then takes off again. These departures occur primarily over San Lorenzo homes. The purpose of such flying is to "earn hours" to meet licensing requirements. Crashes do occur in and around the airport. 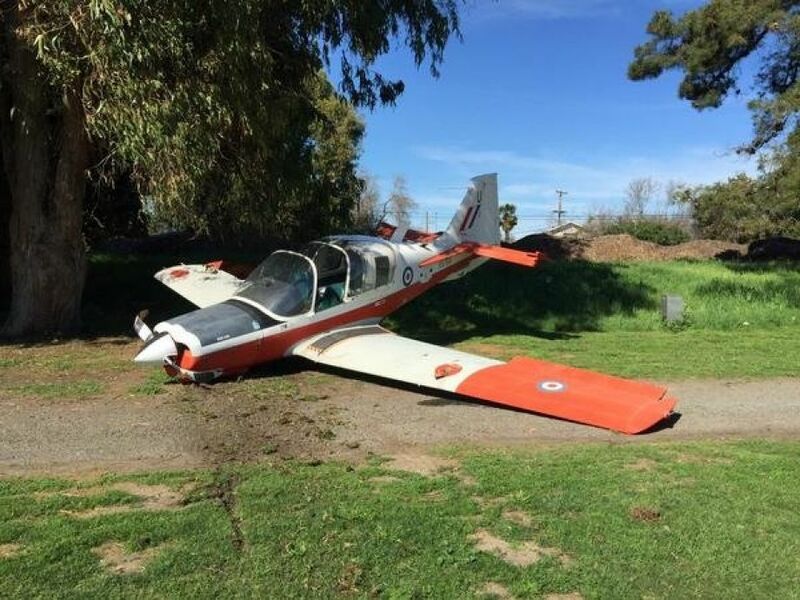 Take-off from Hayward crashes on golf course Feb. 15, 2015. Hayward Aircraft Noise Ordinance (Hayward Municipal Code Secs. 2-6.119 through 2-6.127)  The City of Hayward enacted its first airport noise ordinance in 1975. It has been revised twice. The present version was enacted in 1991. National Aviation v. City of Hayward  In this case in federal court a tenant of the Hayward Air Terminal challenged the city's 1975 aircraft noise ordinance. The court ruled that a city that owned an airport could regulate aircraft noise through an ordinance. The court's opinion stated an important rule of law that is cited even today by other courts. Wood v. City of Hayward  Some pilot-activists contended that the City of Hayward did not own the fee simple title to the airport property. In this case the city's title was challenged. The trial court dismissed the suit and the plaintiffs appealed. San Jose v. Superior Court  The airport is not required by the state's Public Records Act to disclose the identity of persons who complain about airport noise. Many jets arriving from the north and east are directed to take a "short cut" to the Oakland airport over San Lorenzo. This technique permits air traffic controllers to land more planes within a short period, and began in 1997 as a result of a sharp increase in air cargo traffic.